Viewing 24 of 79 items. Make a great gift for everyone! 275 memo sheets, size 5" x 5", with acrylic holder. White stock with your favorite ink color. Personalization is flat-printed. Typestyle and positioning only.. 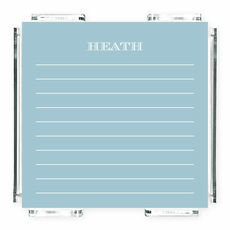 Lined memo sheets with holder, includes 150 flat-printed loose sheets in a clear acrylic holder. Size of memos is 4.125" x 4.125". Flat printed in white ink. Positioning and typestyle only.. This extra deep white pad is 2 inches thick with 250 sheets. 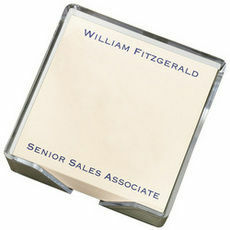 Pad is 6" x 6" and features your name. 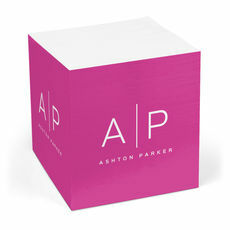 Imprint in your choice of flat ink color and typestyle of your choice. Positioning only as.. Simple and perfect. 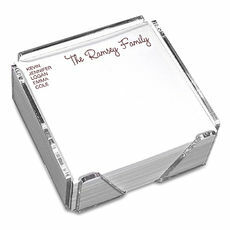 Includes 375, 4.8" square, memo sheets flat printed in your favorite ink color and acrylic holder is included. Optional bottom line of copy included. Typestyle and positioning..
Memos are small enough to go anywhere. 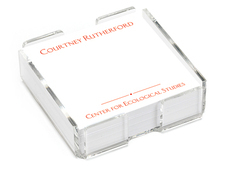 150 loose sheets in a clear acrylic holder. 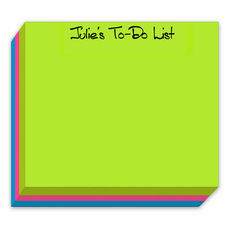 Size of memos is 4.25" x 4.25". Flat printed in your choice of ink color. Typestyle and positioning as.. Perfect next to the phone or in the car to take a quick note. Lettering only as shown. Includes 260, 4.5" x 8.5" memo sheets. Matte printing in soft watercolor imprint color of your choice. .. This extra deep pad is 2 inches thick with 250 sheets. Pad is 6" x 6". Features your initial and name. 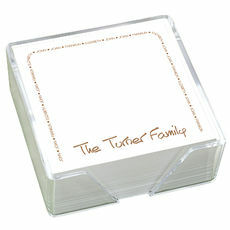 Imprint in your choice of flat ink color and typestyle on white stock. Positioning only..